An eye-opening Joint Center for Political and Economic Studies report has revealed that American public policy is more likely to elect a person of color to the U.S. House of Representatives than House members are to hire top staff of color. “The House of Representatives cannot effectively create public policy that benefits all Americans if the people making policy decisions do not look like America,” — Spencer Over-ton, President of the Joint Center Black Talent Initiative. House, only 16 members have chiefs of staff of color – 10 Republicans and 6 Democrats. Further, the report revealed that more than one-quarter of House members represent diverse districts but have no top staff of color. No Latinos hold top positions in the leader-ship offices or committees. The report, titled “Racial Diversity Among Top U.S. House Staff” found that while people of color account for 38 percent of the U.S. population, they make up only 13.7 percent of all top House staff. This demonstrates that the American public is more likely to elect a person of color to the House than House members are to hire top staff of color. Beyond members of color, there is little difference between the political caucuses. In the personal offices of white Democratic members, only 7.4 percent of top staff are people of color even though, on average, 37.4 percent of these districts’ residents are people of color. In the offices of white Republican members, only three percent of top staff are people of color even though these members represent districts that are on average 26 percent people of color. “The House of Representatives cannot effectively create public policy that benefits all Americans if the people making policy decisions do not look like America,” said Spencer Over-ton, President of the Joint Cen-ter. “While these numbers are disappointing, this report is a critical step toward understanding and addressing this lack of diversity and inclusion in Congress. Members of Congress must take action to recruit and hire talented diverse candidates for senior staff positions to ensure that it better understands and more effectively represents all Americans,” Overton said. Other key statistics from the report include almost a three-quarters of House members – 313 members – have no top staff of color; and more than a quarter of members – 114 members – represent districts that are over a third people of color but do not have any top staff of color. Much of the Democrats’ staff diversity comes from the Congressional Black Caucus. While 53 percent of Congressional Black Caucus members’ top staffers are Black, only 2 percent of white Democratic members’ top staffers are Black. Nearly 40 percent of the Democratic Congressional Hispanic Caucus members and half of the Republican Congressional Hispanic Conference members have no Latino top staff. There are no Latinos, Asian American Pacific Islanders, or Native Americans in any of the 40 committee staff director positions or in any of the 24 top staff positions in the four top leadership offices of Democrats and Republicans; and women account for almost 61 percent of Black top staffers, almost 45 percent of Latina/Latino top staffers, and just over 31 percent of AAPI top staffers. 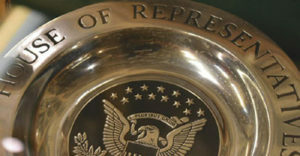 Top staff are defined to include chiefs of staff, legislative directors, and communications directors in Washington, DC personal offices of U.S. House members; chiefs of staff, policy directors, and communication directors in the top four leadership offices of each political party; and staff directors assigned to full committees. The figures reflect House employment as of June 1, 2018. “These findings demonstrate a profound and appalling lack of diversity and inclusion in what is supposed to be our most representative branch of government,” said Don Bell, Director of the Joint Center Black Talent Initiative.